Led by nationally recognized PGA Professionals, the BOYNE Golf Academy's mission is to help golfers of all ages and abilities improve every aspect of their game. Through a holistic approach to teaching, our instructors provide you with the tools to see immediate improvement, as well as continued growth and development into the future. First comes coaching, a one-on-one relationship where experience passes from the master to the student. Next comes video, a revolutionary tool that enables golfers to see and understand the habits and patterns hindering their game. And lastly comes TrackMan and GEARS - two cutting-edge technologies that take the best of our coaching abilities and make them more effective than ever before. As a player, Mike set a course record with a 63 in the 2001 Michigan PGA Championship. 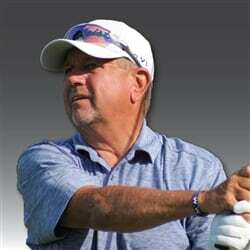 His tournament victories include the 2003 Difeo Lexus Shootout and the 2004 Ricoh Clambake Pro-Am in New Jersey. Mike spent seven years as a PGA Head Professional at Boyne Mountain Resort before bringing his talent and enthusiasm to the BOYNE Golf Academy full time in 2013. Mike certainly lives his motto that "coaching the best never stops", all year long. 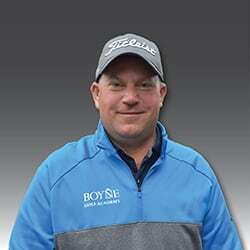 Michigan native Jeff Roth brings extensive knowledge as a player and instructor to the BOYNE Golf Academy. 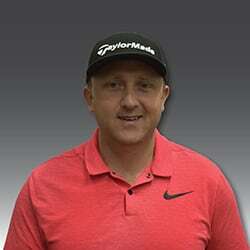 Jeff has served as a head golf professional for more than 25 years, establishing numerous junior and adult programs to develop physical and mental skills to improve player performance. He plans to create and share a variety of learning opportunities that will be beneficial and entertaining for BOYNE golfers. Individual programs can be developed by request. It is our belief that when choosing an instruction plan, the longer the commitment, the more value and development will be seen in your game. Talk with your instructor about the best option for you.